From enjoying a romantic Parisian meal to being mesmerized by the panoramic views on top of the Eiffel Tower, there a plenty of things to do in Europe’s cultural capital. Yes, Paris truly is the perfect holiday destination! However, with less than 3 days in Paris it can be difficult to decide on what to see and what to skip, so to help you plan your trip we have created this sample itinerary for Paris. In this itinerary, we’ll show you how to experience the best of Paris in only 36 hours. Paris has two major airports, but if you’re flying in on a budget airline, you may land at a third, so below is info on all three. Regardless of where you land, there’s easy access to the city center. The first is the world-renowned Charles de Gaulle Airport (CDG) aka Roissy Airport, the largest airport in Europe. The next busiest airport is Paris Orly Airport (ORY) followed by Beauvais–Tillé Airport (BVA). Renting a car or taking a taxi are always options, but they tend to be the most expensive. Unless you’re carrying a lot of luggage, I wouldn’t recommend either. When you take the train/metro in Paris, be sure to keep your ticket because some stops may require your ticket upon entry and exit. 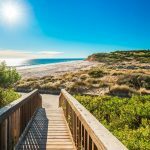 About 25 kilometers (or 16 miles) northeast of the city, the country’s largest and busiest airport has plenty of ways to get you into the center. The quickest and one of the cheapest ways to get to the city is by train. The train stops at T2 and T3. If you land at T1, you can take the free shuttle to T3. Trains depart every 6 – 15 minutes from around 4:50am – 11:50pm, and it takes about 35 minutes to get from Charles de Gaulle Airport to Gare du Nord. The Charles de Gaulle Airport is in zone 5, so one-way adult tickets cost around €10.30 each. There will be plenty of machines where you can buy your ticket either by credit/debit or cash. Le Bus Direct provides two routes into the city – one ending at the Eiffel Tower and the other ending at Gare Montparnasse. Both routes stop at T1 and T2 and depart about every 30 minutes from around 5:15am – 11:30pm. 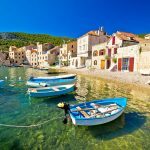 One-way tickets for adults are €18.00 and roundtrip tickets are €31.00. Roissybus stops at all terminals and will take you near the Opéra metro station. Tickets start around €12.50 and buses depart every 15-20 minutes from around 6:00am – 12:30am. Paris Orly Airport sits about 13 kilometers (or eight miles) south of the city. There are two terminals – West and South – linked by a complimentary shuttle. If you’re not in a hurry, local bus 183 can take you into the city center, but I think the train or a coach bus are better choices. One of the easiest ways to get into the city is the RER B. The Orlyval light rail will take you to Antony, the closest RER station. From the Antony station it’ll take about eight more minutes to get into central Paris. The total journey usually doesn’t take more than 35 minutes. The Orlyval departs up to every seven minutes and runs from around 6:00am – 11:35pm. A one-way fare costs around €12.10. You can also take the RER C line if you’re looking to save some money, but it does take a little longer than the RER B route. Take a shuttle to Pont de Rungis where you can take the RER C line toward Montigny Beauchamp or Pontoise to get you into the city center. Trains run from about 5:00am – 11:30pm. The journey will take at least 35 minutes without traffic and a fare will cost around €6.35. Le Bus Direct picks up at both terminals and goes as far as the Champs Elysées / Place de l’Étoile, making stops at Trocadéro and Gare Montparnasse. Buses run every 20 minutes and you should get to the Champs-Élysées within an hour. 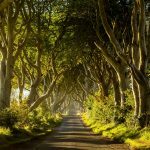 One-way adult tickets are €12.00 while roundtrip tickets are €20.00. Orlybus connects Paris Orly Airport with the Denfert-Rochereau station. Buses run up to every 15 minutes and the journey is typically around 45 minutes. Adult tickets cost around €8.50 and buses run from about 6:00am – 12:30am. Beauvais–Tillé Airport is a small airport about 85 kilometers (or 53 miles) northwest of the city. It’s mostly used by budget airlines like Wizz Air and Ryanair. Hopping on the Beauvais airport bus is the easiest way to get into Paris. The bus will take you directly to the Porte Maillot transit station. One-way adult tickets start at €15.90 and return tickets start at €29.00. The trip will take about 75 minutes. You’ll enjoy yourself no matter when you visit Paris, but you should choose your dates based on what you want to see and your tolerance of crowds. Obviously summer is the busiest season and attractions can be crowded. Summer is also when the days are longer and warmer so you can spend more time outside. Springtime is probably the next most crowded season and you’ll still be able to enjoy good weather along with gorgeous sights in the parks as the flowers bloom. When you’re doing Paris in 36 hours, it’s a toss up of whether you’ll have warm and sunny days or cool and rainy ones. 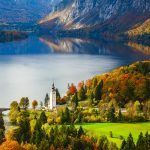 Autumn is a good time to visit because the crowds are thinning, but you still have a chance for good weather. The sun will start setting earlier, but if you can visit in September or early October, you have a better chance of avoiding the rain. Winter is the low season, except when you visit around Christmas or New Year’s, so this is when you’ll get the best prices. Also, you can do some other fun stuff like ice skate and visit Christmas markets. Even though snow is rare, be prepared for clouds and rain. When you’re thinking about your itinerary to Paris, one of the important things to consider is accommodation so you can maximize your time and experience. 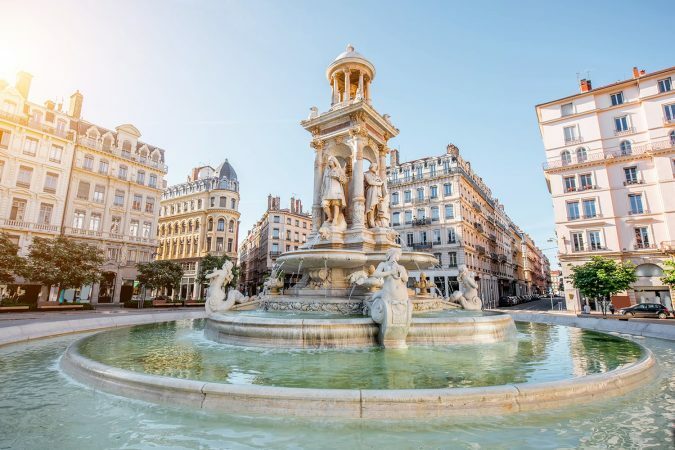 Thankfully, there are so many amazing hotels and super fun hostels throughout Paris; it’s just a matter of where you want to stay and how much you want to spend. 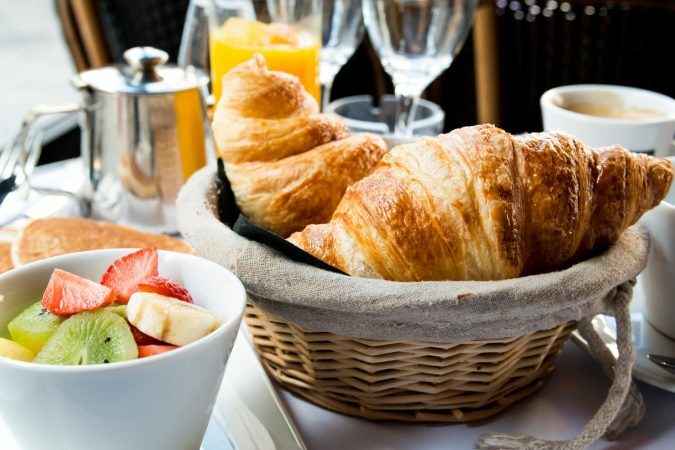 For a luxurious experience in Paris, I’d recommend you stay at Hôtel Regina Louvre and overlook the Louvre or near the Champs-Élysées at Hotel Opéra Richepanse. In the 15th arrondissement right near the Champs de Mars, a solid mid-range option is Hôtel Tourisme Avenue. This area is ideal for monuments, sightseeing, beautiful gardens, and more. 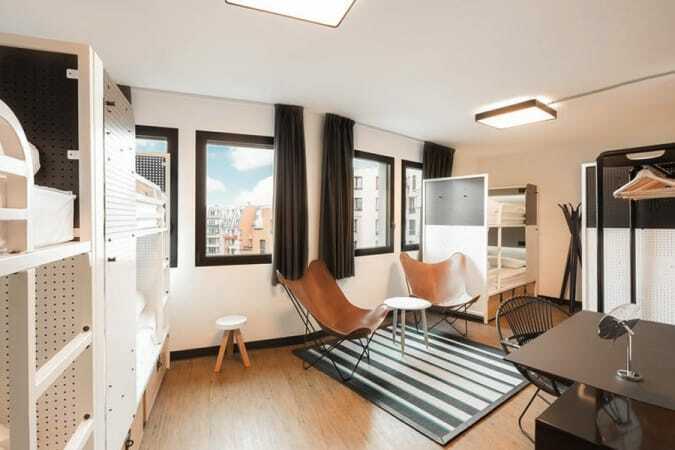 While Paris has some great hotels, it also has tons of budget hostels. 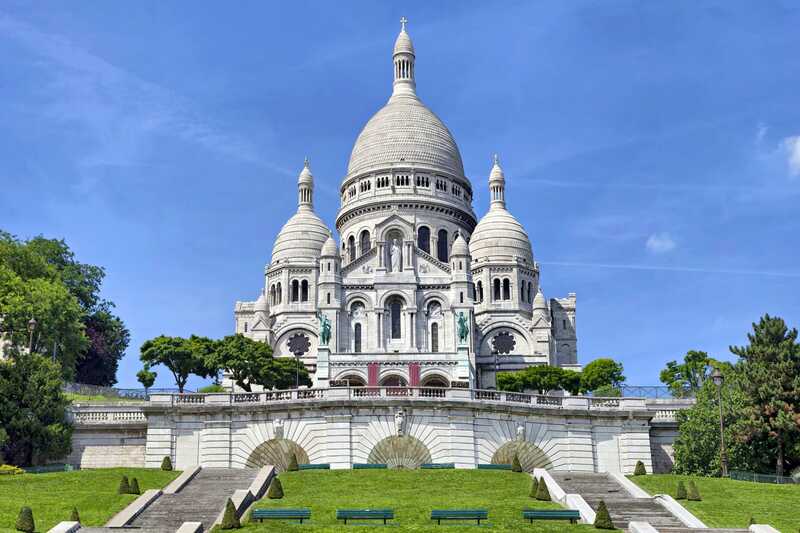 For a quieter budget stay, go for the Le Village Montmartre near the Sacré-Cœur. If you want to party it up check out St Christopher’s Inn near Gare du Nord, right above Belushi’s, the biggest expat bar in Paris. Where is the bathroom? – Où sont les toilettes? Do you speak English? 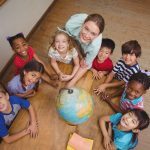 – Parlez-vous l’anglais? Paris is full of world-famous art, culture, fashion, and food. (And don’t worry, if you’re gluten-free, Paris is one of the best places you can visit.) We’ll make sure you have a chance to take advantage of all the highlights during your short stay in Paris. Now with that out of the way, here are the best places to visit in Paris in 36 hours. 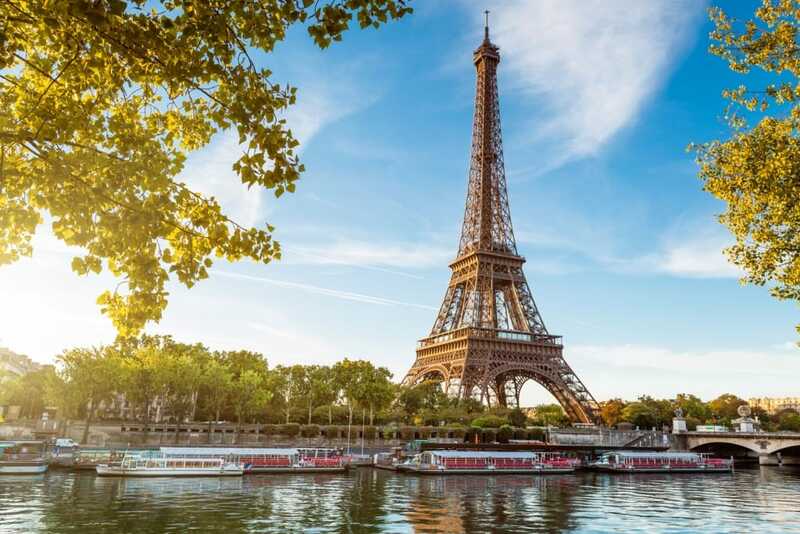 Note: This itinerary assumes that you will be spending the weekend in Paris – flying into Paris on Friday Evening and leaving on Sunday Afternoon. You can always make some adjustments, if that is not the case. When deciding what to see and do in Paris in 36 hours, the Eiffel Tower is a must, and that’s where you’ll start. Once you’re all settled in your accommodation, head to the Eiffel Tower for sunset. When the sun sets and the city lights up, it’s a wonderful experience you’ll never forget. 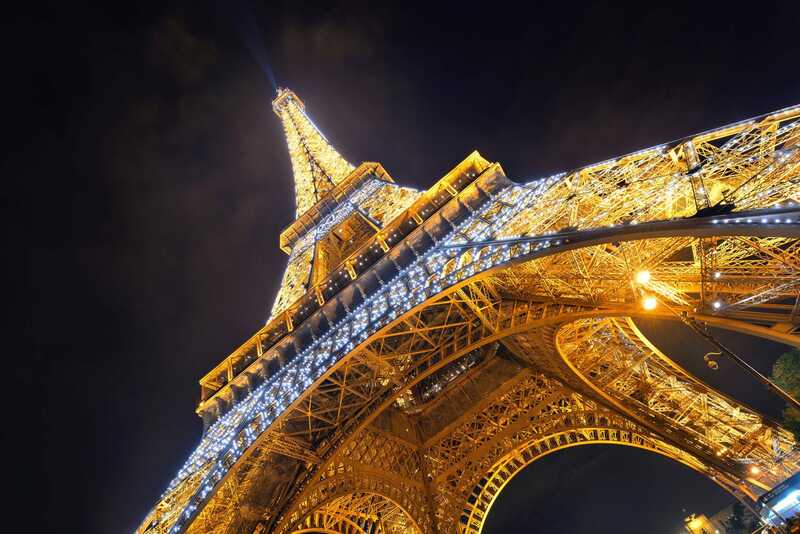 There’s much more to do in the Eiffel Tower than meets the eye, so you can plan to spend at least a couple hours here. First, decide whether you’re heading to the second floor or all the way to the top. You can buy tickets to the second floor here and summit tickets here. On your way to the top there’s so much to discover. The first floor is highlighted by the glass floor 57 meters above the ground. The second floor is home to the Michelin-starred Jules Verne Restaurant. And once you get off the glass elevators at the 276-meter summit reward yourself with a glass of champagne at The Champagne Bar as you marvel at the City of Light. The esplanade, first floor, and second floor each have specialty shops and places to eat to make your time at the tower even more memorable. In the summer months (June 21 – September 2) the Eiffel Tower doesn’t close until 12:45am; the rest of the year it’s open until 11:45pm. Today you’ll have the chance to learn some fascinating history, get some amazing views, and end your night with lots of fun. The first full day in Paris literally begins in the center of the city (if you look in front of the doors of Notre-Dame you’ll see the city’s zero mile marker) at Notre-Dame de Paris. 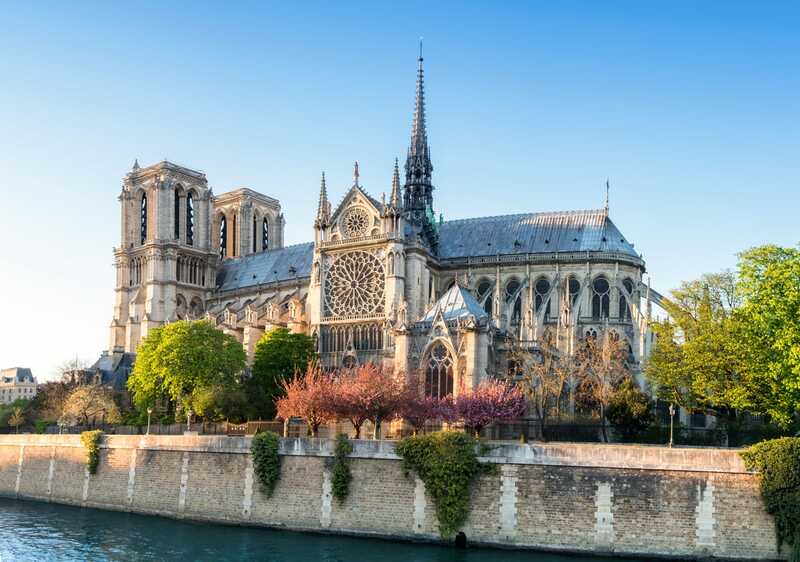 This world-renowned cathedral is widely regarded as one of the world’s greatest examples of French Gothic architecture. Entry to the church is free, and along with the stunning interior, you’ll also get a look at one of the largest organs in the country. The church usually doesn’t take any longer than 30 minutes to explore. If you choose to climb the 422 steps of the towers to get up close and personal with the gargoyles, it’ll cost €10.00. Because it’s the center of the city, you’ll literally be able to see just about everything, from the Eiffel Tower to the Sacré-Cœur. Less than a 20-minute metro ride from one of the most renowned church buildings in the world is maybe the most famous street in the world, the Champs-Élysées. 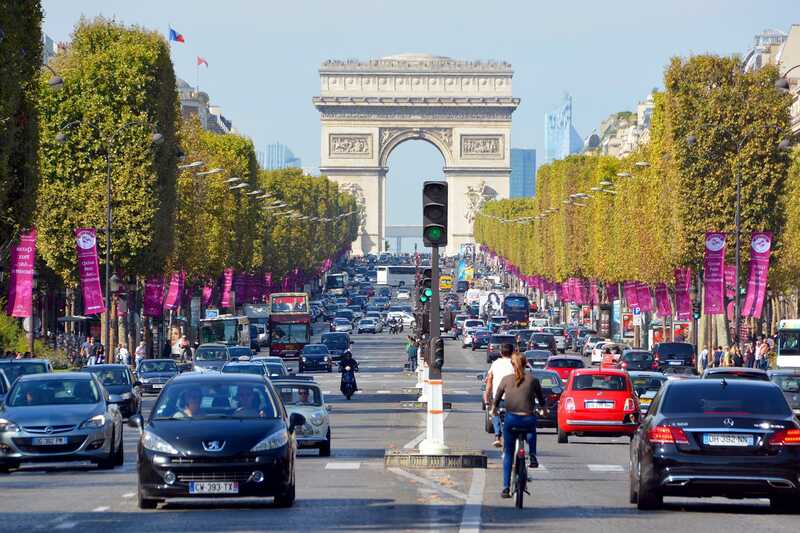 The avenue stretches just over a mile from the Place de la Concorde to the Place Charles de Gaulle that’s highlighted by the Arc de Triomphe. Best known as the finish for the Tour de France and the site of the annual Bastille Day military parade, the street is filled with eateries, shops, and theatres. This is a great place to stop for lunch on your way to the Arc de Triomphe. 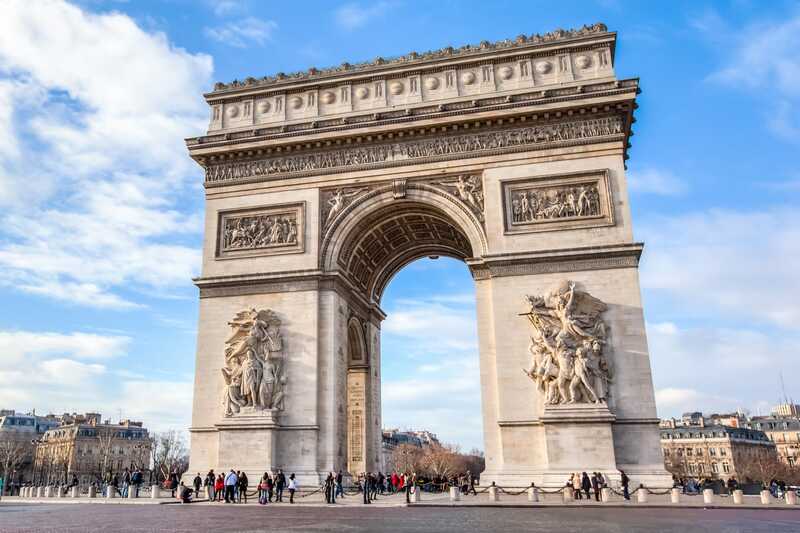 Built to honor those who fought and died for France in the French Revolutionary and Napoleonic Wars, the Arc de Triomphe is a Neoclassical triumphal arch that stands 50 meters high. For €12.00 you can take the lift to the top of the arc. On the top there’s a small museum telling the story of the arc from the time of its construction, and a terrace where you’ll have panoramic views of the city. You can buy your skip-the-line ticket here. About a 25-minute metro ride from the Arc de Triomphe, at the summit of the highest point in the city you’ll find Sacré-Cœur. It’s a political and cultural monument that was consecrated in 1919 after World War I. They offer a free audio tour as well as a panoramic virtual tour to make sure you know the significance of what you’re looking at. The basilica is free to enter and it’s open every day from 6:00am – 10:30pm. If you want to climb up to the dome, visit between 8:30am – 8:00pm from May to September or from 9:00am – 5:00pm between October and April. Keep in mind, there are 300 stairs to get to the top and there’s no elevator. The rates for dome access vary, so you’ll have to contact them once you figure out your dates. We recommend you come here to watch the sunset and get perfect views of the city. 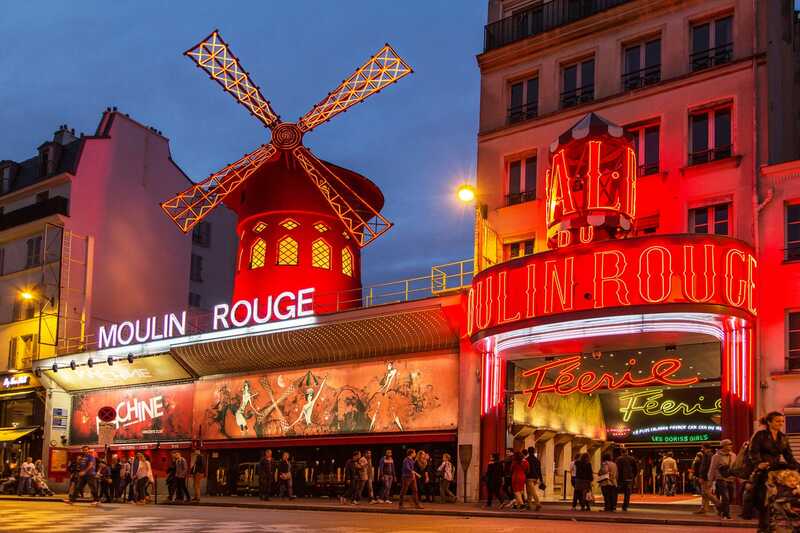 Book a ticket to the magical show “Féerie” at the world-famous cabaret Moulin Rouge, and watch a troupe of 100 artistes, including 60 Doris Girls, parade in 1,000 flamboyant costumes of feathers, rhinestones and sequins. It’s an amazing experience not to be missed but make sure to book your ticket well in advance as tickets sell out fast. You’ll finish your trip with one of the absolute best things to do in Paris – the Louvre. After you visit this world-renowned museum, you can relax in some of the city’s best parks until you head back home. Begin your last morning in the City of Lights at the world’s largest art museum. Originally built as a fortress in the late 12th century by Philip II, it opened as a museum on August 10, 1793 and was the most visited art museum in the world in 2017. Home to Leonardo da Vinci’s Mona Lisa, there are around 38,000 objects displayed that range from the 21st century all the way back to prehistory. To beat the crowds, it’s best to show up when the museum first opens at 9:00am. If you’re not an early riser, consider moving your visit to a Wednesday or Friday night when the museum is open until 9:45pm instead of 6:00pm. The Louvre is closed on Tuesdays. We recommend you buy a skip-the-line ticket online so you don’t spend your precious time in Paris waiting on long lines. Insider Tip: Admission to the Louvre is free on the first Sunday of the month from October to March, as well as on Bastille Day (July 14). The Musée d’Orsay is another amazing art museum in Paris. It’s one of the largest art museums in Europe and houses the world’s largest collection of Impressionist and post-Impressionist masterpieces. The museum is mainly composed of French art from 1848 – 1914 and features paintings by Edgar Degas, Édouard Manet, Claude Monet, Auguste Renoir, and other greats. The Tuileries Garden is located right outside of the Louvre plaza and is a nice place to take pictures or enjoy a picnic. The garden has been beautifully landscaped and its two ponds are the perfect place to relax in the middle of the city. There are also plenty of restaurants and souvenir shops nearby if you’re hungry or need to do some last minute shopping. 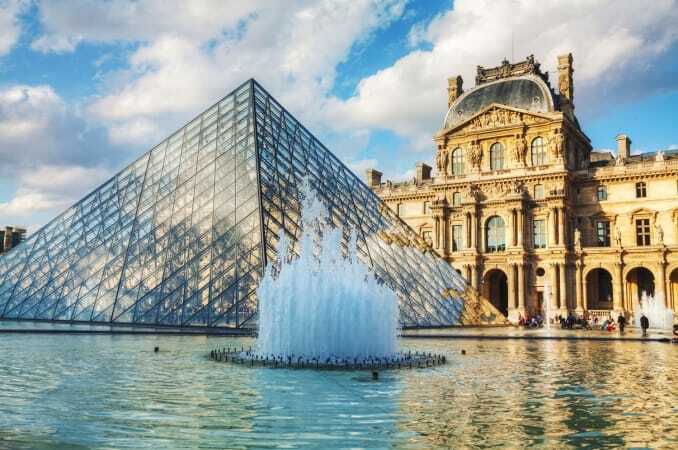 Make sure to be mindful of your timing because if you spend several hours in the Louvre, then you may not have time for the gardens before you need to catch your flight. But if you do have some extra time, this is a spectacular place to spend it. 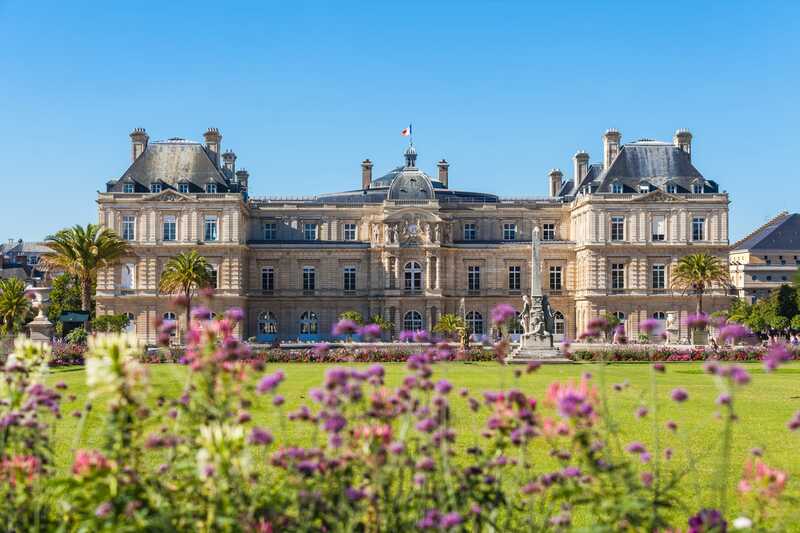 These formal gardens were created by Marie de’ Medici in 1612. Previously only open to royalty, it’s now the second largest public park in the city. Come here to enjoy tree-lined promenades, the renowned Medici statue, palace views, and more. Nearby is the Panthéon, a secular mausoleum housing the remains of distinguished French citizens. If you want to check out the crypt, it’ll cost €9.00. This UNESCO World Heritage Site housed France’s kings from 1682 – 1789. 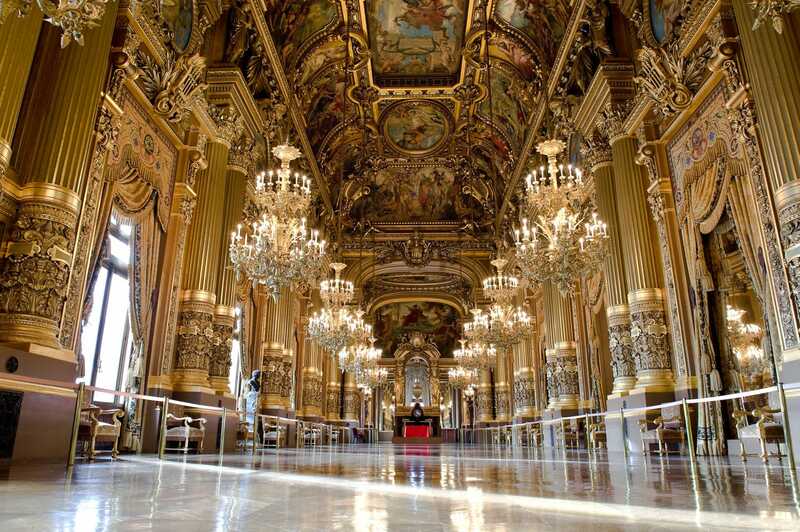 Adorned in gold, it’s probably most renowned for its Hall of Mirrors, gardens, and Queen Marie Antoinette’s hamlet. From Paris, the metro ride can take up to 90 minutes. If you have a car, the drive can take anywhere from 40 – 90 minutes, depending on traffic. 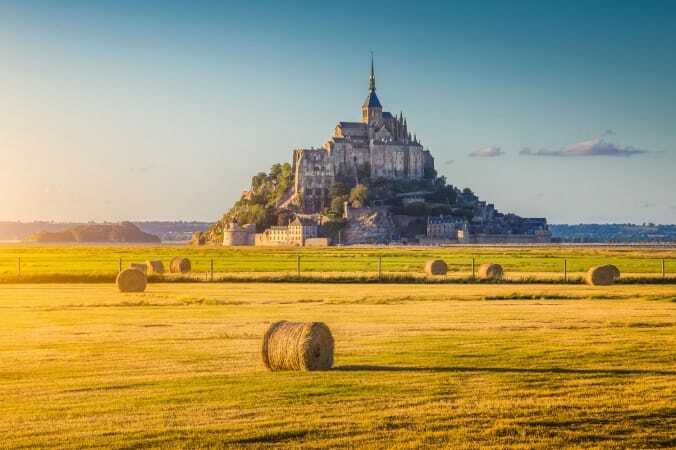 You can also choose to do a half-day or full-day tour from Paris where the company will bus you there on a coach, take you on a tour, then give you free time to explore at your own pace. If you are doing it on your own consider purchasing ski-the-line tickets online in advance, to avoid the long lines. Europe’s most visited theme park remains one of the best things to do in all of France. A fan-favorite for kids and adults, there are two theme parks, golf, shopping, and more! Normandy is a bit far from Paris, it’s about a 2.5-3-hour drive, but if you’re a history buff, then it’s almost a must if you have the time. The easiest thing to do is book a tour. 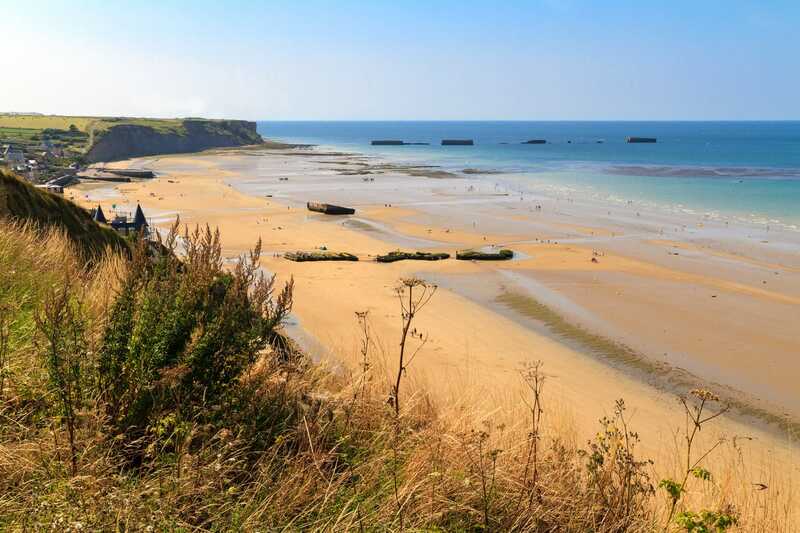 It’ll be a full-day, but you’ll be able to do everything from learn more about the Allied landings on June 6, 1944 to retrace the steps of the Battle of Normandy, as well as see sights like the Normandy American Cemetery and Memorial and La Pointe du Hoc (a headland with a 100-foot cliff overlooking the English Channel). There you have it – Paris in 36 hours. There are so many ways to explore the City of Lights, but this is the best way to do it when you only have 36 hours in Paris.